In the opening race of night 2 of the Spanish Short Course National Championships, Lidon Munoz del Campo broke the Championship Record, very-nearly broke the Spanish record, and did enough to ensure her spot on the Spanish team for next month’s World Short Course Championships in Hanghzou, China. Munoz swam a 53.18 in the women’s 100 free, which broke her own Championship Record of 53.28 – from prelims. That, in turn, broke Melani Costa’s 2011 record of 53.58. The National Record, one of Spain’s oldest, was set in 2009 in the waning days of the super-suit era at 53.02 by Maria Fuster. For Munoz, the more immediate hurdle cleared is that her finals swim snuck under the 53.24 that Spanish authorities are requiring to add new swimmers to the Worlds team in this event. She’s the first new addition to the Short Course Worlds team at this meet. She also became the first double gold medalist of the meet after winning the 100 IM on Thursday. Marta Gonzalez Crivillers took 2nd in 54.92, and 15-year old Ainhoa Campabadal was 3rd in 55.55 – a new Spanish Record for her age group. Two veterans, Marina Garcia (55.80) and Melani Costa (56.21) were 4th and 6th, respectively, in the race. Moritz Berg Eischeid won the men’s 100 free in 47.95, out-touching Cesar Castro Valle (48.11). Neither swimmer was under the FINA “A” time, nor the faster Spanish selection time, in the final. Sabadell’s Catalina Corro Lorente won the women’s 400 IM, absent the World Record holder Mireia Belmonte, who’s battling an injury. Corro’s winning time was 4:28.26, which put her more than 10 seconds ahead of the field. That was also under the Spanish qualifying time for Worlds, but with a catch – if Belmonte is granted a waiver to swim at Worlds, Spain has already pre-selected both Belmonte and Jimena Perez, who in theory confirmed her spot with a FINA “A” standard swim of 4:39.46. Spain can only swim 2 in the event at Worlds. Mark Sanchez Torrens won the men’s 400 IM in a rout as well, clearing the field by 4.46 seconds. He finished in 4:06.92, which cleared the RFEN selection time for the Short Course World Championships by almost a second and will stamp his ticket to Hangzhou. Hugo Gonzalez finished just 6th in 4:15.71. 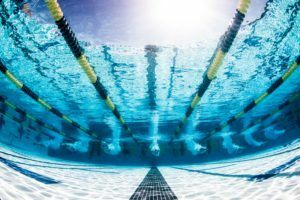 While no swimmers earned a spot at Worlds in the women’s 50 back (Paloma de Bordons Garcia won in 27.65), two National Age Records are broken. Lucia Marta Romero Endolz broke the 17-year olds record in 27.99, while Paula Rodriguez Rivero broke the 16-year olds record in 28.28. They finished 2nd and 3rd, respectively, in the race. Marina Garcia won the women’s 200 breaststroke in 2:21.20, which easily cleared the requisite time for the World Championships (2:22.98), though she only needed the FINA “A” standard (2:24.60) as a pre-selected athlete. Paloma Marrero Munoz narrowly missed joining her, finishing 2nd in 2:23.52. 14-year old Ines Sancho Sanz broke the National Age Record with her 2:29.45 for 4th place. Hector Fontabella Castellanos won the men’s 50 back in 24.08. Gonzalo Carazo Barbero won the men’s 200 breaststroke in 2:09.52. Joan Lluis Pons Ramon missed on his 2nd chance to confirm his pre-selected spot at Worlds by finishing in 4th in 2:12.12. 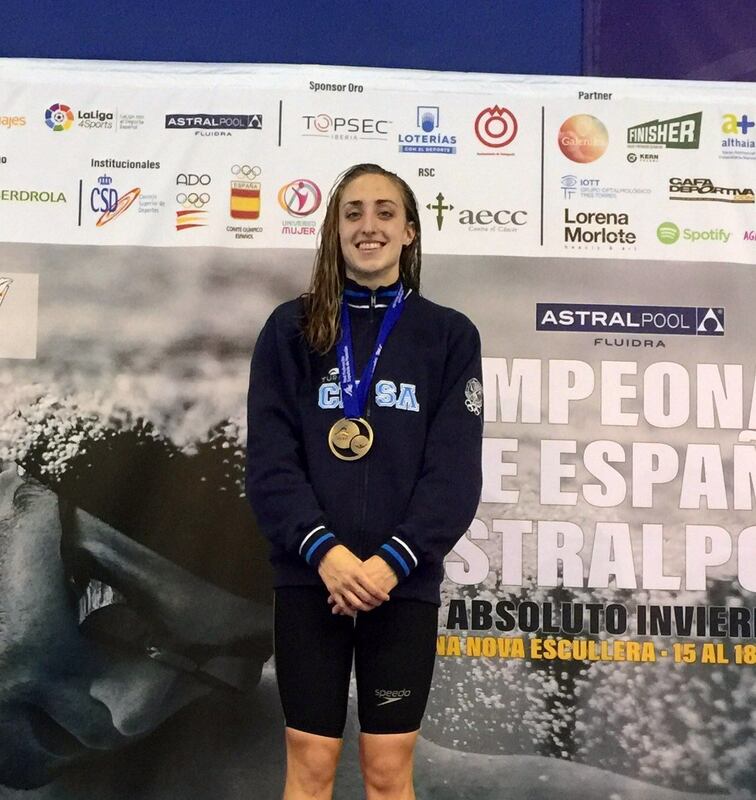 CN Sant Andreu broke both the Spanish Record for any Spanish relay, and the Spanish Record for clubs, with a 7:51.72 in the women’s 800 free relay. The top split was a 1:55.95 from Lidon Munoz del Campo in 1:55.95 on a rolling start. Interesting how Cesar Castro’s shifting his focus toward shorter distances: for him best split in the 800 free relay and second place in the 100 free. Also the other 1999 born, Hugo Gonzalez, with a good 100 fly and a very disappointing 400 im, looks in a transitional phase of his swimming career.